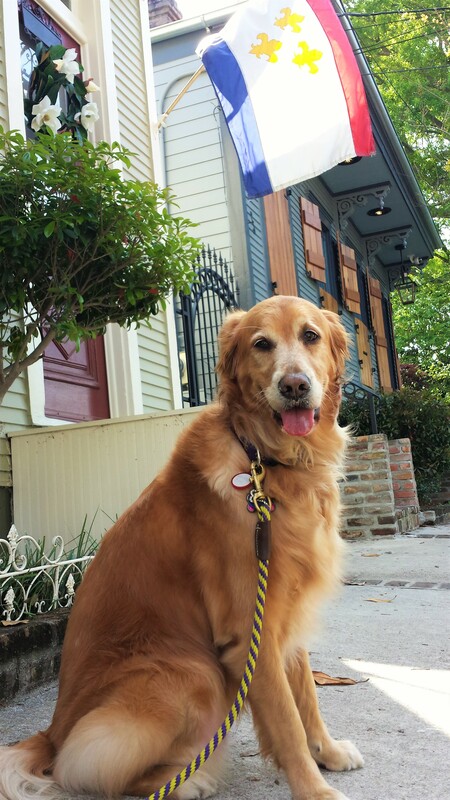 Would you like to spend the month of April touring New Orleans from A to Z? As part of the A to Z Challenge, I’m going to take you from one end of my beautiful hometown to the other. We’ll see parks, shops, restaurants, and more. Ready to get started? Let’s go! 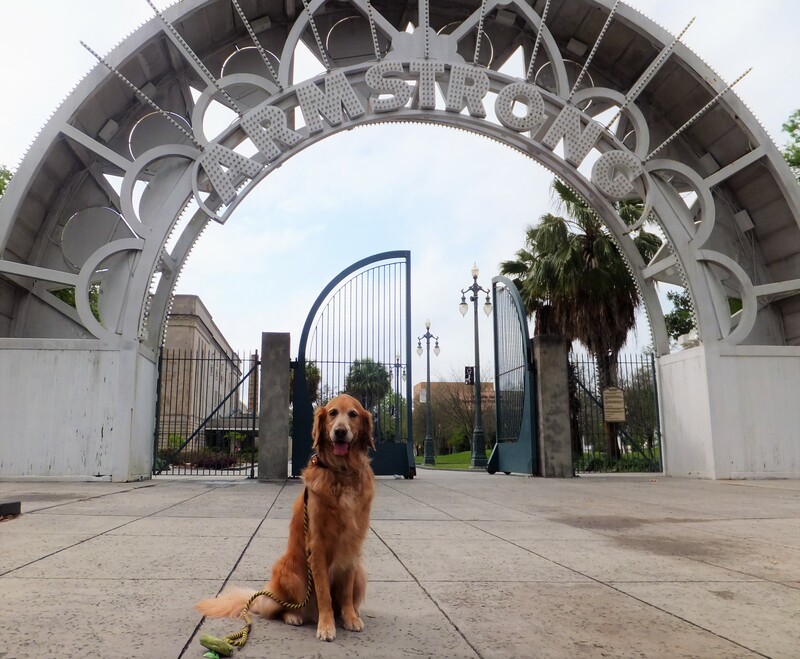 Our A to Z tour of New Orleans begins with Armstrong Park, located in the city’s Treme neighborhood, just across Rampart Street from the famous French Quarter. 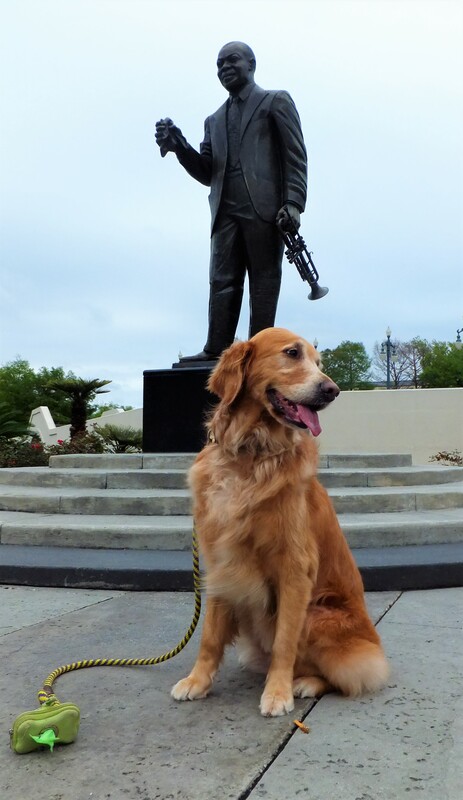 The 31-acre park is named for New Orleans musician Louis Armstrong and celebrates the city’s music and cultural heritage. 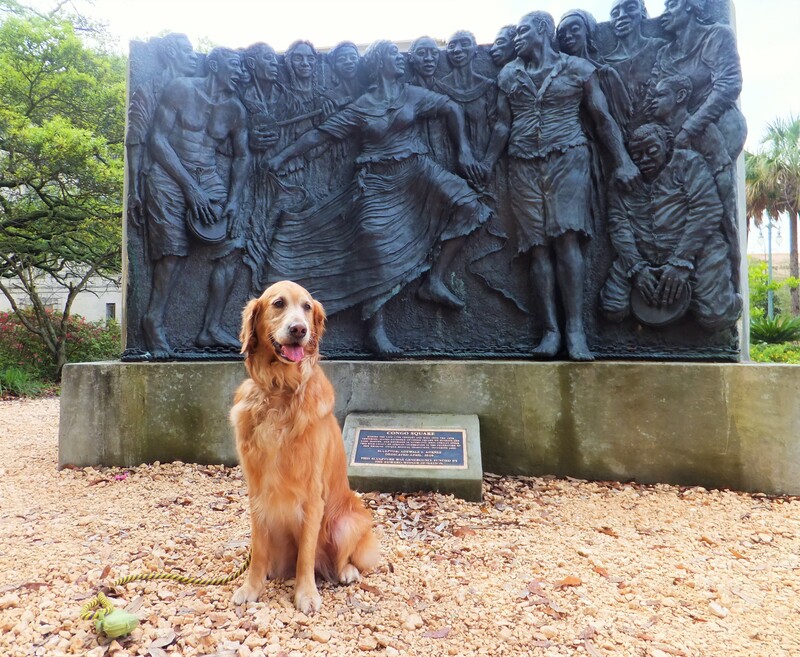 The site includes historic Congo Square, where slaves gathered during the 1700s and 1800s on Sunday–their day off–to sell goods, sing, dance, and play music. 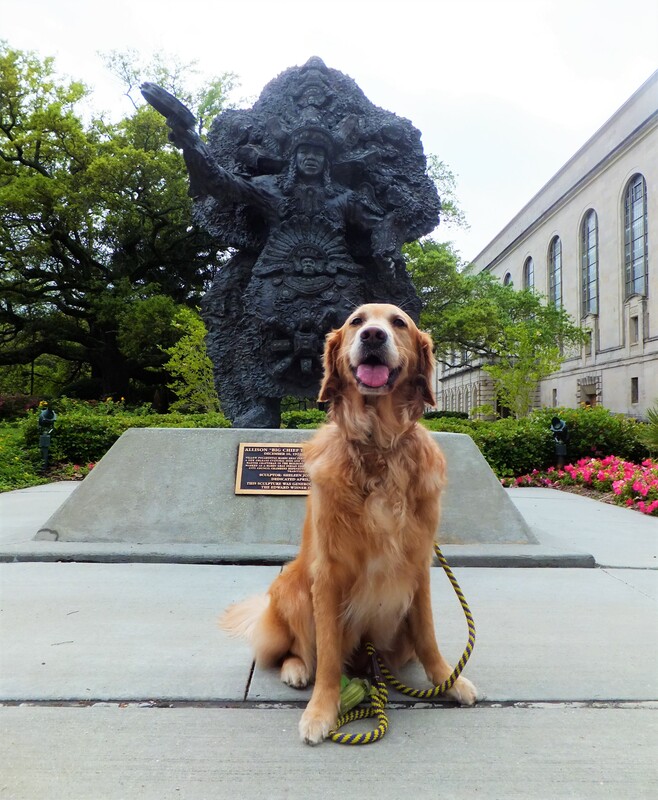 There’s a statue of the late Allison “Big Chef Tootie” Montana of the Yellow Pocahontas Mardi Gras Indian tribe. The Mardi Gras Indians trace their roots back to the days when American Indians aided runaway slaves. They showcase their unique music and spectacular beaded and feathered costumes at events like Mardi Gras, Jazz Fest, and Super Sunday (the Sunday after Saint Joseph’s Day). The park’s New Orleans Municipal Auditorium once hosted Mardi Gras balls, professional basketball teams, and gambling. Closed since sustaining damage during Hurricane Katrina in 2005, the auditorium has seen the start of restoration efforts, but a date for reopening is still uncertain. The Mahalia Jackson Theater of the Performing Arts, named for New Orleans native and gospel singer Mahalia Jackson, also sustained flood damage following Hurricane Katrina but reopened in 2009 after extensive repairs and upgrades. Today it is home to the New Orleans Ballet Association, the New Orleans Opera Association, and Broadway Across America. 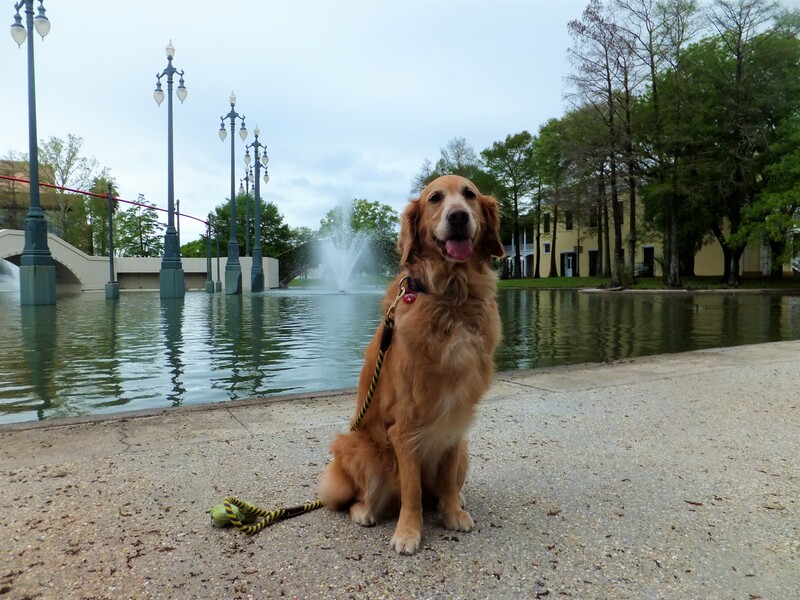 Armstrong Park is a lovely spot to sit beneath the beautiful live oak trees . . .
. . . or watch the ducks glide across the pond. 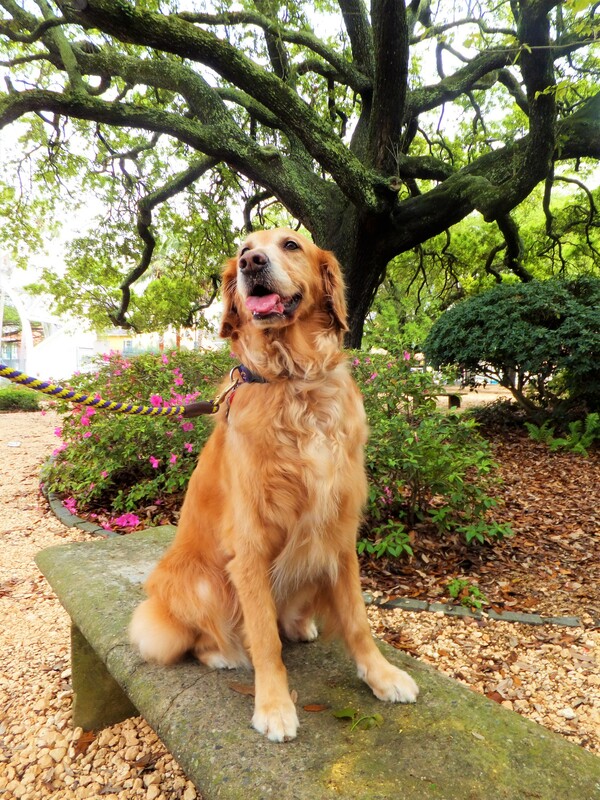 On your next trip to the Crescent City, I hope you’ll take the opportunity to escape the hustle and bustle of the French Quarter and enjoy the history and peace and quiet of one of the city’s prettiest parks. 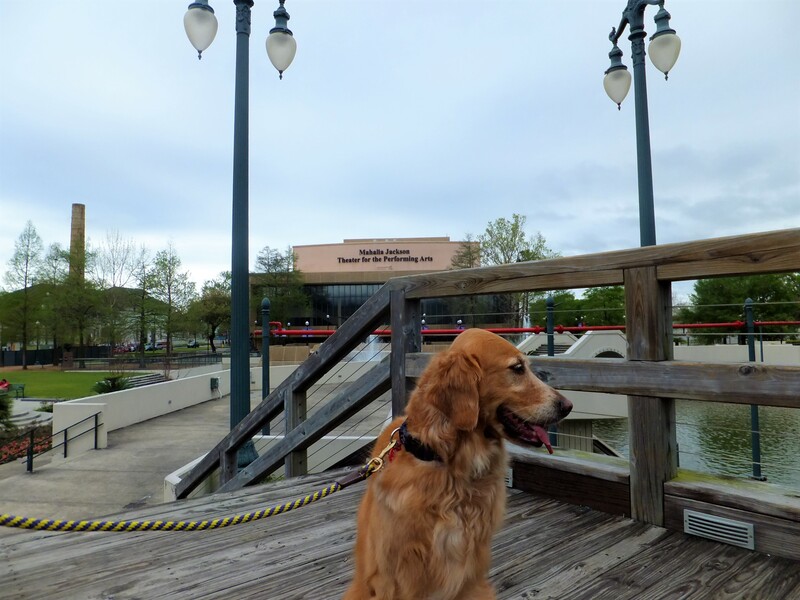 A quick note from Harper Lee’s mommy/blogging assistant: The possibility of starting–let alone finishing–the A to Z Challenge looked a little bleak yesterday. But I am happy to report that the computer geniuses with the Geek Squad came through in a big way and repaired my computer in record time. So we are back on track and ready to take you through New Orleans from A to Z. By the way, that’s our city flag that you see behind Miss Harper Lee. Reblogged this on An Array Of Blogs. Thanks so much for the reblog, and best of luck with the A to Z Challenge! Thank dog your tech stuff is finally in order. My mom is a nightmare to be around when tech isn’t working. Looking forward to going through the alphabet with you! What a great way to visit one of my favorite cities again! Looking forward to the rest! I hope I’ll be able to show you a place or two that will be new. There’s so much to see, and so few letters in the alphabet and days in April. Haha! What have you done with your sister Harper Lee!!?? Glad to see you back. You look very beautiful in Armstrong Park, Miss HL. We will enjoy sharing your city this month. Thank you, Cupcake. I thought of you when I was writing about the Mardi Gras Indians’ beautiful costumes. Perfect for a gorgeous fashionista like you! Love this! I’m from Mobile originally and have many fond memories of NOLA. 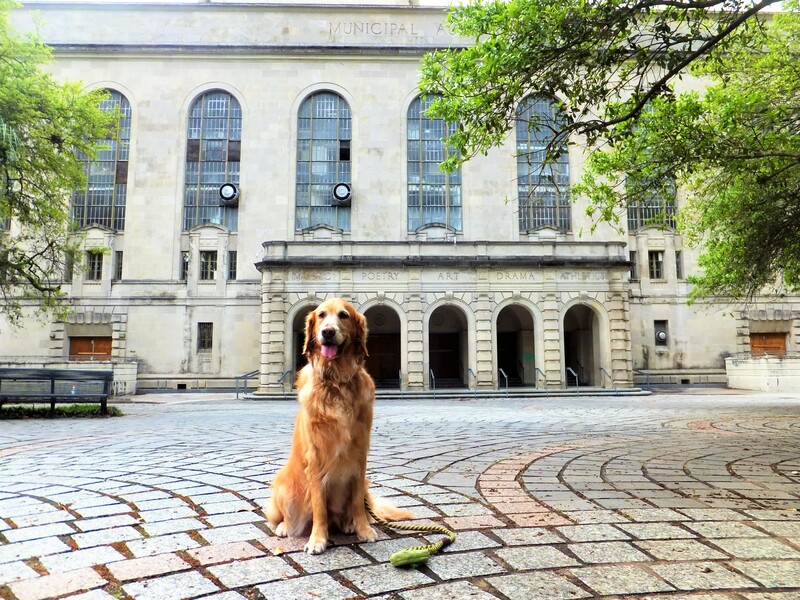 One of our favorite dogs of all time was our golden retriever, Buddy. This is my first time doing the A-Z Challenge. So much fun! We’re so glad that you got your computer fixed up! We look forward to working our way through your whole series (I’m just way behind but I’ll get there!). You have such a beautiful and interesting city!